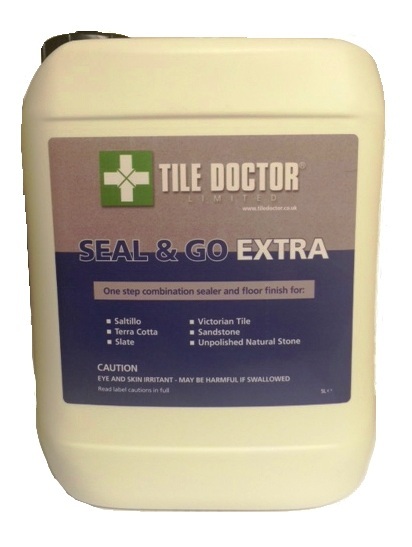 TILE DOCTOR ® Specialist products for Stone and Grout Sealing. 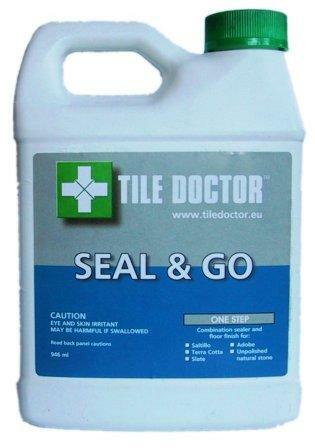 provide long lasting sealing and protection to Tiles and Tile Grout. A spray-and-buff cleaner that is designed to enhance the natural beauty and lustre of polished stone as it cleans. 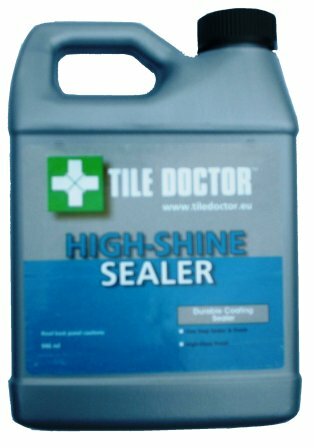 Use on all SEALED, polished natural stone (such as granite, limestone, marble, slate, and travertine), counter-tops, and non-traffic surfaces. 500ml bottles available at £9.99 each. Postage and Packing £7.50 (Incl.VAT) for 1 item, £10 (Incl.VAT) for two or more items. 1 litre bottles £16.00 each. 5 litre bottles £69.00 each. Postage and Packing £10.00 (Incl.VAT) for 1 or more items. A special acrylic based formula which allows moisture vapour transmission making it fully breathable and ideal for external and internal situations where no damp proof membrane has been installed and mineral salt deposits (efflorescence) occur. 1 Litre bottles £20.00 each. 5 Litre bottles £89.00 each. Water-based blend of acrylic polymers that provides both a stain resistant surface seal and a durable high-sheen finish eliminating the need for two products. May also be used as a pre-grouting sealer. 1 litre bottles £15.00 each. 5 litre bottles £65.00 each. Colour Grow, is a solvent based colour intensifying sealer that provides durable surface protection as well as enhancing colour. A crystallising powder that provides a very high shine and tough durable finish for sealing all natural stone (such as granite, limestone, marble, slate and travertine), porcelain, quarry, saltillo, terracotta, cement pavers, masonry surfaces and other porous tile, stone and grout where a natural look is desired. Effective for interior and exterior applications. 1 litre bottles £36.00 each. 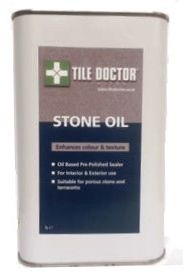 Stone Oil is an easy to apply pre-polish impregnating sealer, ideal for low porosity stone and terracotta designed to enhance the colour and texture of floors and improve mechanical strength once cured. 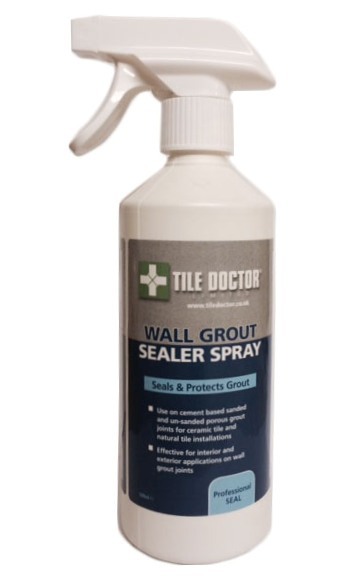 Water-based sealer that prevents water, oil and acid based contaminants from spoiling the appearance and colour of grout yet allows moisture vapour transmission. 500ml bottles with spray attachment £10.99 each. Pipettes for use when applying sealer to floor grout.